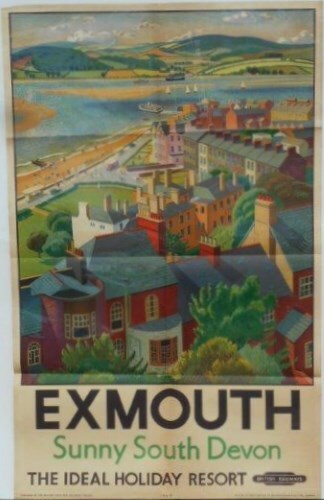 Lot 156 D/R Poster 1949, BR(S) "Exmouth - Sunny South Devon" by Allinson. A view over the town to the estuary. Good folded condition with a little ageing.